After fans relentlessly defended Khloe Kardashian in the wake of her baby daddy Tristan Thompson‘s cheating scandal, the 33-year-old reality star has turned against her supporters and taken up for her man, by disabling Instagram comments under the pictures that feature her and her cheating baby daddy. 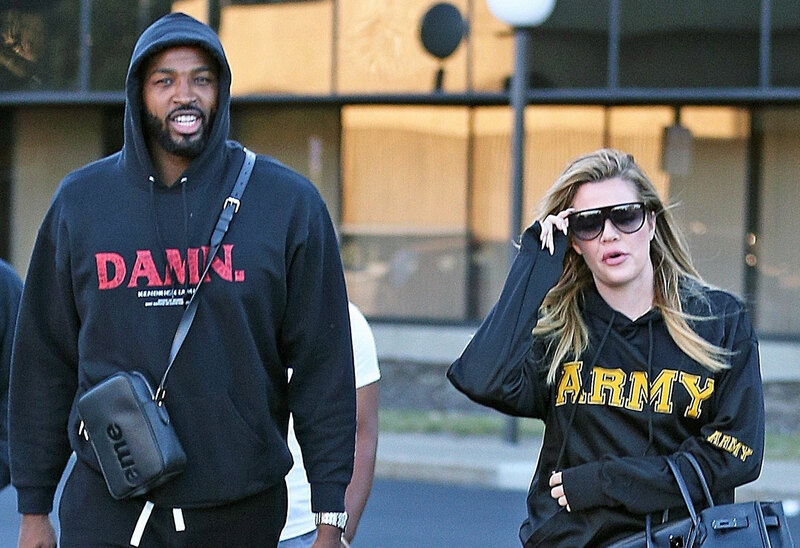 Khloe has recently turned off her comments, which means fans will no longer be able to write messages bashing Tristan, suggesting that she has decided to stay in a relationship with the Cleveland Cavaliers star. Following the birth of her daughter, True Thompson, born on April 12, Khloe stayed in Cleveland under doctors orders. While her family has been pushing for her to return home and raise her daughter as single mom, Khloe isn’t completely ready to throw in the towel on her relationship. "Khloe is taking it one day at a time with Tristan. She is glad he is helping her out with True, but she has also been spending a lot of alone time reflecting," a source revealed to E! News. “She's not in a bubble of denial. She knows what's going on and is still trying to process it, but so far, she's managed to move past it and look forward," the source explained. "Her original plan to take True back to L.A. is off the table — for now," the insider said. The pair have yet to comment on the situation, but Kim Kardashian recently shared her opinion on her sister’s scandal, calling it “f**ked up,” while on the Ellen DeGeneres show. “I think she just wants a clear head and just wants to be alone with her daughter and figure that out,” Kim said on the daytime talk show. “She's still [in Ohio], yeah, she's still there, and she wanted to have some alone time with the baby and you know, figure out what her next steps are. I think it must be so hard to have your heart broken and fall in love all in a day or two, all happening at the same time and I think she just needs some [space]," Kim said. As readers know, Tristan was caught on camera cheating on Khloe just days before she gave birth to their first child together.